Mold is everywhere, including inside your home as well as outside. Many people are allergic to mold. Therefore, you need to try to prevent mold from entering your home as much as possible. Mold usually develops in damp areas. There are various types of molds around and every kind can affect you in a negative way. Mold is also air born so that it can be hard to find in your home. Mold can get in your nose and build up. You may not know until it attacks your respiratory system. So What is Mold Allergy? Where Is The Mold That Causes An Allergy? So What is A Mold Allergy? There are all kinds of health concerns in the home, some are easy to deal with and others are not so simple. One of the more controversial health hazards in the home is the presence of mold. Mold is a naturally occurring fungus that requires a dark, damp atmosphere in which to grow. It grows on organic materials such as wood. This means that there are quite a few spots in your home that mold could likely grow on. Now, if your home is watertight, as it should be, then mold will not be a huge concern. The presence of mold is usually an indication that there is a leak of some kind, somewhere in the home. Ideal places for mold to grow are in the attic and in the basement. Mold is a type of fungus that grows from spores and is essential for the breakdown of dead plant and animal matter. The spores are usually inactive, but they will become active if humidity levels exceeds70% or if the temperature goes above 65 degrees. Mold exists everywhere in the environment, it may be found indoors and outdoors. Mold is often found in damp or wet areas, this why it is so common in places such as the basement and bathroom and outdoor in grass and hay. Mold is the black growth you often see on wet window sills. If you store paper or fabrics in a damp place you might get the musty smell that is cause by the action of molds. Active mold growth is slimy and is usually green, black, orange or purple. When inactive mold is dry and looks like a powder. It is usually white when dry. In its early phases, molds may look like a web while when in full bloom it looks like a miniature bush. It is normal to find mold spores in a homes. Most of the time mold spores found indoors are from outside sources. Regular housekeeping cleaning helps keep mold levels low. Cleaning small areas of visible mold, like the mold around your shower, is obligatory to maintain sanitary conditions. When you should be more concerned is when your home has a large-scale of active mold growing. Such problems are most likely to happen when there’s been an on-going water leak, flood, or excessively high levels of humidity in the home. Indoor mold growth may lead to high levels of airborne mold spores, which, in turn, can trigger the spread of mold growth. Even when molds are unseen, wet spots or dampness can indicate a problem and molds will eventually follow. If you suspect that a spot is moldy, you can perform a simple test to find out if the spot is really mold. Mold spores growing in your home can cause allergic reactions in you, your pets and your kids. Mold removal takes them away before they become a problem. Although severe allergic reactions are not as common as mild to moderate symptoms, they are the most dangerous. That is why if you suffer from allergies and find that your symptoms are getting worse, a home diagnosis is okay, as long as you still seek medical treatment. Severe allergic reactions can include swelling, difficulty breaking, vomiting, diarrhea, painful cramps, dizziness, and a loss of consciousness. If medical attention is not sought immediately following a severe allergic action, death may result. Mold and mold spores can cause serious health problems and, in the case of someone with mold sensitivities, even death. Many people are vaguely aware of the health concerns when it comes to mold but most do not know that mold can also cause serious damage. When it comes to protecting your family and your home, fighting and preventing mold should be at the top of every homeowner’s list. Mold allergies are one of the main health problems that affect people of all ages. There are thousands of molds, although some of them do not cause any allergies at all. In fact there are only about 12 different kinds of molds that can cause a serious allergy. It is possible that mold might be the major reason that people have seasonal allergies. Mold spores are very tiny and they are airborne, which makes it possible for you to have mold anywhere in your home. However, the most common reason for mold allergies is mold growing in areas where there is a lot of moisture. 1. Rash - Some people are allergic to mold which can then cause a rash to appear on their body. In severe cases, mold can cause inflammation in your throat. It is not rare for mold to make rashes and hives appear. 2. Cough - Mold spores are very light and travel by air. It is very easy for mold spores to be inhaled. When they are inhaled, it creates irritation in the lining of your throat, causing you to cough. 3. Sore Throat - If you are allergic to mold, a sore throat is your body’s way of defending itself from the allergen. Your immune system sees the mold as a threat and your throat can inflame in response. Inhaling the mold spores can also cause a sore throat. The mold spores can cause irritation in your throat, lungs, and airways. The most common symptoms of mold allergies are watery eyes, wheezing, stuffed up nose, and shortness of breath. A mild mold allergy may not even require you to seek medical attention, whereas other symptoms may be so severe that they require hospitalization. Fatigue, sadness or lack of motivation also could be a sign that your allergies are bringing you down. Make an appointment with your allergist and ask about prevention and education, including the use of a room air cleaner to reduce airborne allergens. In a study conducted jointly by the Hennepin County Medical Center in Minneapolis, Minn., and Bassett Healthcare in Cooperstown, N.Y., allergic patients reported higher levels of general fatigue and mental fatigue during ragweed season. Do you suspect that you may be suffering from allergies? If you do, you may be looking for a confirmation. After all, some individuals believe that they do not need to seek medical attention if they are able to diagnosis themselves. This is true in some cases, as long as your allergy symptoms are not severe. Mold is everywhere, including inside your home as well as outside. Many people are allergic to mold. Therefore, you need to try to prevent mold from entering your home as much as possible. Mold usually develops in damp areas. Mold can get in your nose and build up. You may not know until it attacks your respiratory and bronchial system. 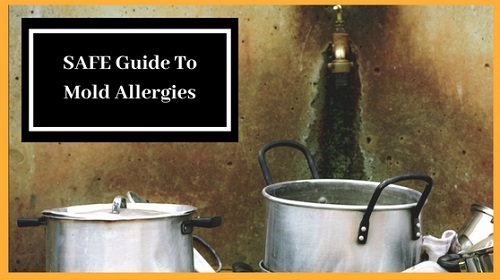 As for how you can go about determining whether or not you are suffering from allergies, you will want to be on the lookout for common allergy symptoms. This is one of the easiest ways to determine if you should schedule a visit with a doctor or if you should start making lifestyle changes. If you are interested in learning about the common symptoms of allergies, there are many sources online. It is easy to research the most common symptoms of allergies online. You can find a number of trusted medical websites with a standard internet search. You can also find printed medical books available in your local library or for sale in many book stores. The easiest way, however, is to continue reading on. 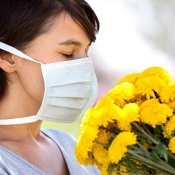 The most common symptoms of mold allergies are watery eyes, wheezing, stuffed up nose, shortness of breath and asthma. A mild mold allergy may not even require you to seek medical attention, whereas other symptoms may be so severe that they require hospitalization. If you have been feeling sleepy and sluggish this spring, your allergies might be to blame. In a study conducted jointly by the Hennepin County Medical Center in Minneapolis, Minn., and Bassett Healthcare in Cooperstown, N.Y., allergic patients reported higher levels of general fatigue and mental fatigue during allergy season. Experiencing fatigue, sadness or lack of motivation during ragweed season could be a sign that your allergies are bringing you down. Make an appointment with your allergist and ask about prevention and education, including the use of a room air cleaner to reduce airborne allergens. When mold spores drop on places where there is excessive moisture, such as where leakage may have occurred in roofs, pipes, walls, plant pots, or where there has been flooding, they will grow. Mold is normally found in many places where dampness is found. Such places like your shower stall, your basement, or a closet, even in the refrigerator in the fresh food drawer mold will hide. Mold can develop in your trashcan, or even in the laundry room. Mold is outside. Mold grows on trees, even the ground. Sometimes, you see it growing on your home. When it grows in your home its cause from too much moister so you may want to watch how damp it gets in your home to help to count down the growth of the mold. Mold allergies are one of the main health problems that affect people of all ages. There are thousands of molds, although some of them do not cause any allergies at all. In fact there are only about 12 different kinds of molds that can cause a serious allergy. It is possible that mold might be the major reason that people have seasonal allergies. Mold spores are very tiny and they are airborne, which makes it possible for you to have mold anywhere in your home. However, the most common reason for mold allergies is mold growing in areas where there is a lot of moisture. Indoor mold growth may lead to high levels of mold spores, which, in turn, can trigger the spread of mold growth to areas of the home having high moisture levels. Although most people are exposed to small amounts of mold on a daily basis without apparent harm, mold is an unsanitary condition that may present potential health risks to certain individuals. 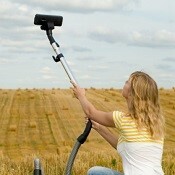 It doesn’t matter how often or well we clean our homes, there will always be some trace of mold. The unfortunate thing is that mold can trigger asthma. Mold itself is unsightly but the real problem is the spores. These can grow on the mold and get released into the air. If an asthma sufferer breathes these in it can be potentially hazardous. Mold will also build up if the walls are moist. Some homes have moisture inside the walls. In this instance, black, orange, white and gray mold will often grow in the home. In this instance, you may need to hire a contractor or someone that specializes in home repair, etc to resolve the problem. Touch the suspected spot with a small drop of bleach and see if the stain loses its color or disappears. If it does, it may be mold. If there is no change, it is probably not mold. Another good way to tell if mold is present is odor. Mold usually has a musty smell that can indicate the presence of molds even if they are invisible. 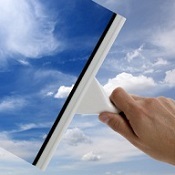 To avoid pollen and mold you will need to learn more cleaning tactics. For the most part, if you keep your home dry you can avoid mold. Asthma Does Not Have To Take Over Your Life! Most people find fewer problems with breathing problems when they find an asthma management plan that really works. 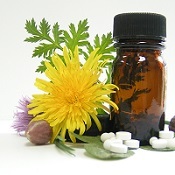 Although some asthmatics with severe symptoms need medication to manage their condition, many sufferers can control them with an asthma action plan and natural remedies. 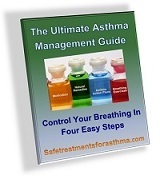 Read Asthma Free Forever and discover the steps to controlling asthma naturally. With a little help from your doctor and the right plan of action, you can control your wheezing and coughing so that you can breathe easier. Always consult your doctor for the best advice. Did you know that you could get allergies from mold? And this can cause breathing problems. Mold is everywhere, including inside your home as well as outside. Many people are allergic to mold and this can trigger an asthma attack What are the symptoms and how to fight it. 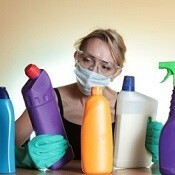 Did you know that some molds can be more poisonous to you and your body than pesticides? They can cause serious breathing problems for you and your family. Find out how to get rid of mold before it triggers severe breathing problems. You can control your mold allergies by containing or stopping the growth of it in your home. There are many products on the market that say they can keep it from coming back. What you need to is a mold killer that will eliminate the problem in your home once and for all. Find the best mold removal products. Black mold removal is something that you have to be careful with because black mold is toxic. You really do need to have good information about what black mold looks like and how it forms. These are simple tips you can use to get rid of black mold and still stay healthy. Whether you suffer from severe allergies or just want a clean home, mold removal is a hot topic. When it comes to getting rid of mold, the best way is to prevent its growth. When it comes to your home, these are best ways to remove mold.